The Seals Surf Whitewater Sprayskirt is constructed of high performance 3.5 mm neoprene and uses 3/8 in. stitched bungee attachment to the rim to ensure a good fit. Designed to be used in extreme conditions, the Seals Surf Whitewater Sprayskirt is sure to keep water out of your boat in rough waters. I've been looking for a good neoprene spray skirt. 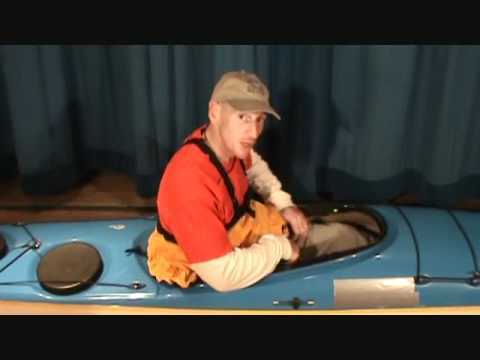 This one is great quality, fits my Valley kayak without being loose or too tight, and is warm and comfortable. True to size. I ordered from ACK because of the good value pricing and have already ordered from them again. It's not the only place I buy stuff, but I will be buying more, I'm sure. Free shipping, good services, etc. 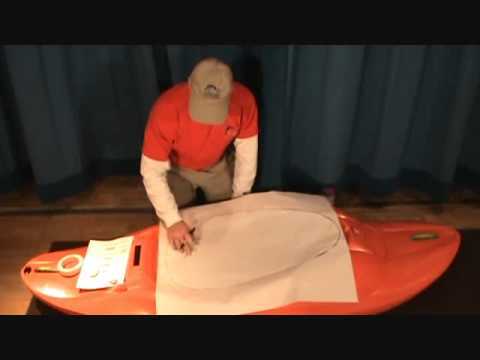 Seals kayak sprayskirt is a great product good fit and good sizing guide. great sprayskirt. fits nice and tight on my kayak cockpit. easy on and off. the clip at the handle is a nice bonus. great to clip on camera/phone, etc. Only brand I've ever used not a single problem. Excellent skirt, Seals rock!! I bought this to practice rolling, it keeps out all water while edging. I thought it would be hotter than my Tropical Tour breathable skirt, I find it not hot at all. I bought mine from here, I ordered a size too small. The great people at Seals reworked the tunnel for me making it larger, it fits perfect now. Got this for my pyranha karnali and it fits perfect. I'm new to kayaking and like to save a buck if I can. ACK has the lowest price and fastest shipping that I can find. I'll be a happy returning customer. Excellent quality and fit, I bought the 1.4 SURF for the Wilderness Systems Tempest 170 and it works very well, easy to put and to release when it's necessary. This is a great sprayskirt for the price. It fits very snugly, no sagging or implosions. Purchased with shipping and a discount for under $80. Great skirt for a plastic sea kayak. Goes on easily, stays snug. Fits a couple different boats that I have. Stretchy material makes the fit around the waist comfortable but snug. This is the best surf skirt I can find. I have owned several different brands, but this is the one. No implosion, no leaks. Simply the best, and great, quick service. This was my first skirt purchase, very happy with it, works great fits my kayak perfect! It was shipped in a girl scout cookie "ugly box" , thought that was funny, great way to recycle! The skirt deserves all five stars, does what it's made to do and does it well. The packing error that caused permanent wrinkles on the skirt deserves three... I've tried everything to get them removed as well. Good quality and functional. Excellent service. good skirt for the price. Does what it says it does and fits the size it says it fits. 100% satisfied. The Seals surf whitewater sprayskirt is excellent at keeping my boat dry. The fit to my rim is great and the tunnel is very comfortable. materials and workmanship are perefct. It is everthing seals says it is. This spray-skirt is amazing. I had just purchased the new, remodeled Current Designs Caribou kayak, & received the wrong size tunnel for my torso, & also the wrong size fit for the redesigned cockpit for that particular boat (having let the store where I bought the boat select the sprayskirt for me). I was having major problems with leaking, so ordered the medium size tunnel (the store had ordered me a large), which, when it arrived, still seemed not tight enough for me. I again re-ordered & now have the small size tunnel. Austin Canoe & Kayak were great about the return, they made the process as painless as possible & I now have the right size tunnel & the right fit. Everyone in the kayak community to whom I have spoken hold the Seals sprayskirt, whatever model, in the highest esteem. I highly recommend it. Great product that shipped extremely fast! 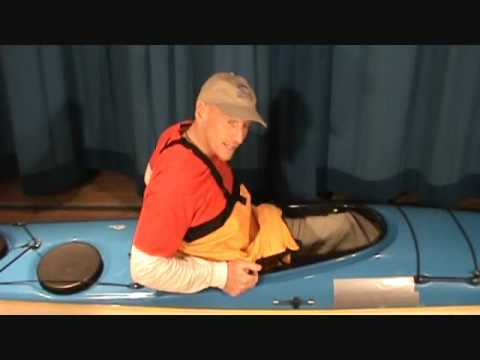 The Seals system of sizing is perfect and worked great on my kayak. Works great, fits good, does an excellent job of keeping water out of the kayak. 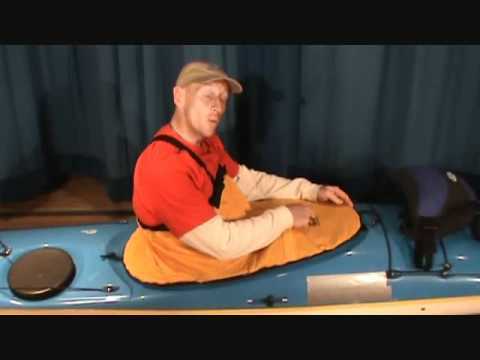 I bought a kayak skirt for my son for winter holiday. ACK was extremely helpful to me in negotiating the correct size and model to fit my son's kayak. Every e-mail question I asked, ACK answered almost immediately. The product I eventually ordered arrived within a very few days and my son was thrilled when we gave it to him. Thanks for a great shopping experience!